Today, Apple (AAPL) officially opened the door for preorders of the much-touted fourth-generation Apple TV. After the early-September reveal of the upgraded device, many AAPL fans have waited anxiously for the opportunity to jump in and place their order. Who can blame them? The Apple TV is more than just a streaming television device — much more. AAPL has seemingly created a device that combines the best aspects of a number of other products on the market. In true Apple fashion, the company has taken what competitors have developed and added its own AAPL flair, releasing a device that is more capable and, frankly, slicker than the rest. So far, in the war for your living room, the undisputed leader has been Roku. Since 2002, Roku has released several iterations of its streaming set-top box, allowing users to cut the cord and free themselves from a unanimously hated evil — the cable company. Over the past 13 years, Roku has perfected those little purple boxes, offering free access to thousands of channels, as well as access to a number of paid content providers such as Netflix (NFLX) and Amazon (AMZN). Competing tech behemoths, including Google (GOOGL, GOOG) and Amazon, attempted to jump on the bandwagon, releasing their own streaming boxes. But, their success and popularity has paled in comparison to Roku. Google’s streamer, aptly named Google TV, was originally a joint venture with Intel (INTC), Sony (SNE) and Logitech (LOGI), which attempted to integrate Android OS with the Chrome browser to deliver on-demand video content. The original project was scrapped in favor of an official Android TV device in 2013, but that, too, was axed mid-2014 due to an embarrassingly low adoption rate. After that, management pushed full steam ahead with the Chromecast device, which has been better received, but still lags Roku. The most worthy competitor to date has been the Amazon Fire TV, not because of the channel lineup or price, but because of the Alexa integration. In case you haven’t heard, Alexa is the name of Amazon’s virtual assistant, a comprehensive AI capable of some pretty complex tasks including conducting Internet searches, playing music, ordering products and turning on your favorite TV shows. AAPL has taken that feature a step further with the latest Apple TV by integrating Siri technology and an iPhone connection. There’s no denying that voice recognition technology is a massive future tech trend, and AAPL has remained on the cutting edge with continued improvement of the iconic Siri assistant. Plus, by allowing current iPhone users to control the Apple TV with their phones, as well as push video content straight to the television, AAPL may have found yet another way to bolster future iPhone sales (or at least weigh the scales in its favor against Android devices). Casual gamers are the target market for AAPL — people who aren’t willing to spend hundreds of dollars on a separate device, but who still enjoy the occasional experience. While there’s been some criticism of the need for a 64 gigabyte version of the Apple TV, the assumption is that in the future the gaming technology within the device will improve as more developers jump on board and create larger, more advanced titles. 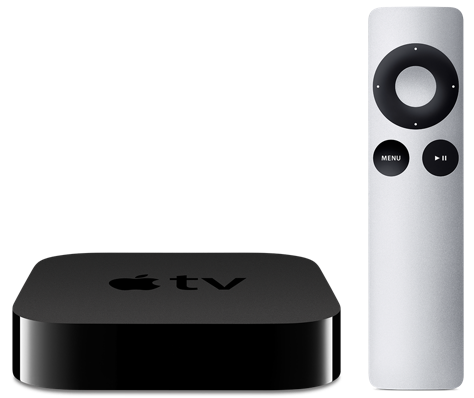 What Can the Apple TV Do for Apple Stock? If the Apple TV catches on, which I’m sure it will, Apple stock will soar. AAPL already has millions of loyal customers, and the all-inclusive capabilities of the Apple TV will only bring in more. More than just another streaming television box, the Apple TV has the potential to become a complete entertainment and information system, not to mention a home automation hub. The addition of AAPL’s HomeKit interface positions the Apple TV as an easily accessible Internet of Things facilitator. The HomeKit will allow Apple TV owners to effortlessly control countless aspects of their homes, from lighting to temperature, even specific tasks such as opening and closing a garage door. In Tim Cook’s perfect world, the Apple TV will be a gateway to complete and total assistive functionality, a one-stop-shop, if you will, for anything and everything from information to entertainment to the completion of mundane household tasks. Simply put, the Apple TV would be one step short of your own personal robotic assistant (and I’m sure that’ll be in the works, somewhere down the line at least). Apple stock is already one of the most renowned securities of the modern age, embodying technological innovation and successful business operation, not to mention the creation of a worldwide subculture of enviable status symbols and iconic social echelon. Like other AAPL products, the Apple TV has all the makings of the elitist dream device — only this time with a more reasonable price tag. However, don’t look for Apple stock to shoot through the roof just because the Apple TV is up for purchase. Instead, it will be more of a sleeper, a subtle infiltration that deftly positions AAPL for maximum revenue in the future. Rest assured that Apple stock will gain a rather significant supporting foundation as the Apple TV gains in popularity and slowly becomes a fixture in more homes around the world. As the Internet of Things comes into its own, AAPL may already be in living rooms everywhere, ready to facilitate yet another convenience for tomorrow’s high-tech households.